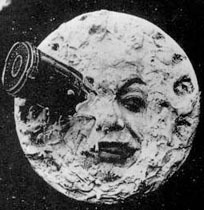 Cinema was born in France towards the end of the 19th century. It was the last step in a row of technical inventions which were particularly popular in France during that period known as Belle Époque, a period of optimism that would soon end with unprecedented brutality. France looked to the 20th century as an age of technical perfection and prosperity. And it was this “Parisian mood” which influenced early movies. Up till recently French cinema comprised the most important European films. France created cinema history, provided the world with stars, determined new directions and mixed cultures. France set the tone for the rest of the cinema world. RFF´s review of French cinema, the largest in this country for several decades, recalls the glory of French cinema. Our list cannot be complete but will present the most significant films and directors as well as present works which our audience cannot see elsewhere. The programme cycle will comprise 25 full length features shot between 1898 and 2008: from the Lumière brothers through to today. Three films will be chosen from each decade and our programme will present famous comedies for the general public (Pierre Richard, Louis de Funes) as well as famous gangster films with Jean Gabin and historical pageants – which will be screened at our open air venues. RFF will screen famous silent movies as well as pre-war classics (Lumière brothers, Georges Mélièse, Max Linder, Louise Feuillade) which were a foretaste of French “civil” movies. Jacques Prévert, Marcel Carné and Jean Cocteau will guide us through the Nazi occupation. The French New Wave will mirror France´s position during the world cinema revolution of the 50s and 60s, and we will recall new styles and movements from the 70s through to the 90s. France turned a fairground attraction into a world art form because French cinema was quick to absorb influences from abroad: from the USA, Asia and Africa. France developed a unique distribution system which continues to function to this day, and established the world´s most famous film festival, Cannes. To be ignorant of the history of French cinema is tantamount to being ignorant of Bach, Mozart or the Beatles. RFF will select its guests from the likes of Agnes Varda, Luce Vigo (daughter of the French classic director Jean Vigo), perhaps Jean Luc Godard who will be celebrating his 80th birthday. We plan to invite script writers and other collaborators of famous directors. Above all, at least one major film critic because in France it was the critics who, in close collaboration with French directors, created French cinema.